NOTEBOOK DOODLES NOW AVAILABLE AT MICHAEL'S STORES NATIONWIDE! Introducing new Notebook Doodles beautiful hardcover journals! 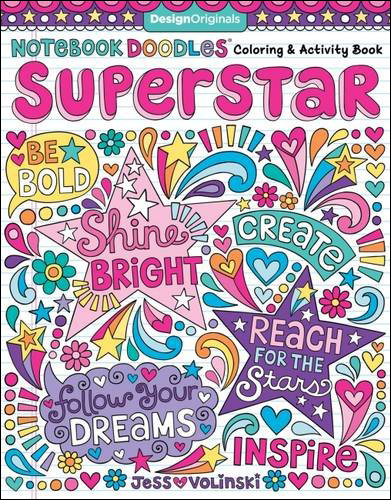 Beautifully illustrated with art from my coloring books, each journal has 128 pages of beautiful, thick paper. With three guided writing journals and one blank personal journal, these make wonderful gifts for the creative writer in your life. Introducing my newest book series, My Little Doodles! 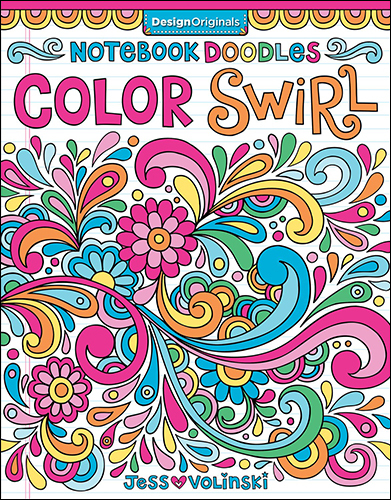 With coloring pages as well as creative activities like dot-to-dots, mazes, and matching, My Little Doodles coloring and activity books are designed for kids ages 2-6—perfect for the littlest colorists in your life! These permanent, color-able stickers are perfect for adding a personalized touch of creativity to cards, crafts, home decor, notebooks, journals, and more. Just color, peel & stick! You can now purchase any of my books direct from me in my Etsy shop, TotallySuperCute! (Use their "Available for Pick Up in Store"
please visit my Etsy shop, TotallySuper Cute!